Primitivo Roots; This mysterious Italian grape has unexpected connections around the world. 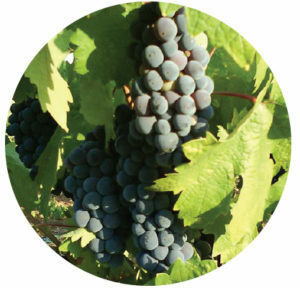 The Primitivo grape caused quite a stir in the wine world. At first, the quandary surrounded the geographic origin of the grape. Then, a new debate raged over a seemingly unrelated issue: the California Zinfandel grape. Brought to the East Coast in the mid-1800s amongst a batch of grapevines from Vienna, Austria, Zinfandel made the cross-country trip to California during the Gold Rush. Over time, a false belief started to take hold, suggesting that Zinfandel was an indigenous American grape and not an immigrant from Europe. Since Zinfandel was the most widely planted grape in California, it seemed appropriate to confirm its origins. In the 1960s, during a visit to Puglia, Italy, an American wine researcher noticed astounding similarities between the Zinfandel grape and the Italian Primitivo grape. Both varieties were extensively researched, and experts concluded that Zinfandel and Primitivo are, indeed, the same grape. However, while most researchers agreed the two varietals are the same, this debate did nothing to solve the original quandary: What is the origin of the Primitivo grape? Harvest time for Primitivo is in early August. The dark-skinned grapes produce a wine that is inky dark and high in tannins as well as alcohol. Unlike its California counterpart, Primitivo vines were hard to manage and produced wines that looked better than they tasted. While dark and bold in color, the wines were typically flat and tasteless. These wines were mostly used for blending because they rarely produced a wine that could stand on its own. 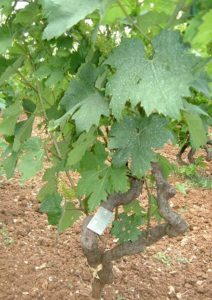 Subsequently, in the 1990s, a program was started to pull out most of the Italian Primitivo vines. Luckily for the Primitivo vines, fate would intervene. During the time when the vine extraction project was ongoing, researchers pinpointed Croatia, just across the Adriatic Sea from Puglia, as the geographic origin of the Primitivo/Zinfandel grape. Then, in 2001, the exact varietal was finally located in a Croatian vineyard. Only nine vines were found in a sample of more than a thousand different varietals. After 50 years of debate, it instantly became headline news in the wine community that the famous California Zinfandel can be traced to a scarce and obscure grape in Croatia called Crljenak Kaštelanski. This finding sparked new interest in the beleaguered Italian Primitivo, which probably saved it from obscurity. Today, Primitivo thrives in Puglia. New World techniques, low yields and careful winery management have greatly improved the quality of these wines. 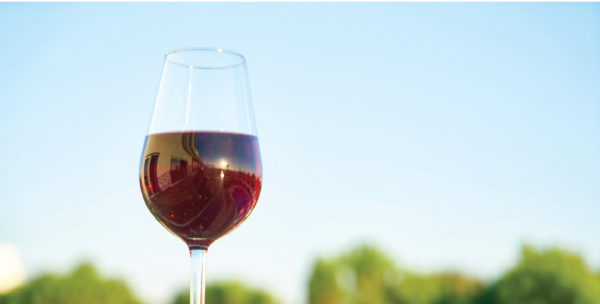 Instead of flabby, thin wines, they are now concentrated, hearty versions that develop well under the hot Italian sun. Primitivos tend to be juicy, well structured, heavy with pigment, concentrated and high in alcohol. Island Winery has just introduced a Primitivo to its line-up. To celebrate, we invite you over to raise a glass of Primitivo-Zinfandel-Crljenak Kaštelanski and toast! The perfect bottle of hand-crafted artisan wine awaits at Island Winery on Cardinal Rd. Complimentary tastings, wine by the glass and cheese platters are available Monday-Saturday from 12:30-5:30 p.m. and Sunday from 12-4 p.m. (843) 842-3141 or www.islandwinery.com.